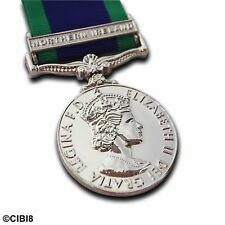 Queen Elizabeth 11 Imperial Service Medal, Ribbon Clasp,Boxed & Certificate . Condition is Used. Dispatched with Royal Mail 1st Class. Awarded to Ernest Lawson. Boxed a Certificate. Certificate will be folded to go inside cardboard box. Awarded to resistance/marquis fighters for service in France during WW2. NGSM Palestine 1915 - 62 clasp Palestine 1936 - 39 Ply 22136 A E CREAR Mne PM. Royal Marines Third Class Certificate of Education - RM Depot 4th Dec 1923. Royal Marines Certificate of Qualification for Promotion (for Corporal) Pass 22nd December 1930. Naval General Service Medal Palestine 36-39. Condition is Used. Dispatched with Royal Mail 1st Class. 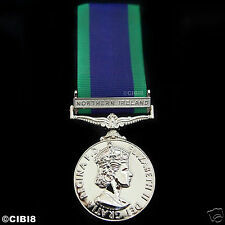 44678 SEP. KARTAR SINGH, 2-2 PUNJAB R.
GSM MALAYA BAR AWARDED TO P.H.L.FRANCE 581362 RAF MOUNTED TO WEAR. The Royal Marines. It's in very good (GVF ) condition. R.M. 132844 A.E. DUTHIE. Looks to be Asian in origin. Date; unknown. By; Unknown. Composition; Silver. INFORMATION & ASSISTANCE. General Concerns & Further Information. 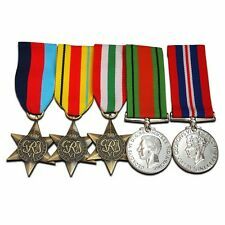 general service medal Palestine 1945-48. Condition is Used. No ek’s but needs a clean. Low start and no reserve. Just found original transmittal slip,envelope and box. Dated 19/6/50 and in very good condition for almost 70 years old. The Royal Marines. R.M. 15315 J.P. FLANNAGAN. INDIA WAR SERVICE MEDAL 1939-45 (ORIGINAL). Condition is Used. Dispatched with Royal Mail 2nd Class.